On March 23, the Nominating Committee of the Chicago Bar Association announced its slate of officers for 2016 – 2017, including attorney Maurice Grant, principal of the Chicago firm, Grant Law LLC, nominated as the Association’s Treasurer. Also named to the CBA’s slate of officers for the 2016 – 2017 term were Daniel M. Kotin, as the organization’s new President replacing Patricia Brown Holmes, the Honorable Thomas R. Mulroy as First Vice President, Steven M. Elrod as Second Vice President, and Jesse H. Ruiz as Secretary. 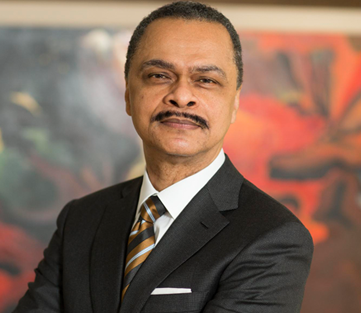 During his career, Maurice has served the legal community both as a member of the Board of Managers and Chair of the Solo and Small Firm Committee of the Chicago Bar Association. He currently serves on the CBA’s Finance Committee and as the CBA’s Pro Bono General Counsel. This is truly a wonderful honor. Having been a long-time member of the CBA, and having served in a broad variety of capacities, I personally believe there is no finer bar association in the country. To be nominated to serve on the Executive Committee is a great honor. Mr. Grant’s firm, Grant Law, LLC, is a Chicago-based law office dedicated to providing quality legal services to large and small businesses, governmental entities, and individual clients. The firm concentrates in the areas of Commercial Litigation, Real Estate, Commercial Lending, Corporate, Employment, Product Liability Litigation, Municipal Liability, Bankruptcy and Creditor’s Rights. For more information on Mr. Grant’s appointment or additional details on his firm, visit www.grantlawllc.com or call (312) 551-0111.